Is Coastal Periodontics in network with Delta Dental? Yes! Although Dr. Saltz is not in network with them any longer, Dr. Wilson does accept and process through Delta Dental. Periodontal disease (gum disease) is an inflammatory disease. Heart disease is also an inflammatory disease. It is suspected that 'inflammation' may be the foundation behind their relationship. If left untreated periodontal disease can increase inflammation in the body - increasing inflammation within your cardiovascular system. However, more research is needed to determine the exact relationship between the two conditions. Research has suggested people with diabetes are more susceptible to contracting infections. Since periodontal (gum) disease is an infection of the gums, people with diabetes are more likely to have periodontal problems. One of the most common complications of diabetes is in fact periodontal disease. Likewise, research suggests that periodontal disease can affect blood sugar levels in turn increasing risk for diabetes. Are periodontal treatments covered by Medicare or Medicaid? Unfortunately, Medicare does not cover any dental treatments. Since Medicaid programs are run by each individual state, coverage is going to vary from state to state. You will need to check with your dental care provider to determine coverage in your state. Can my child develop periodontal disease? Periodontal disease is not common in children and rarely found in adolescents. Despite the low risk your child has in developing periodontal disease, they should still develop good hygiene habit while they are young. Children, like adults, should brush their teeth twice a day and learn how to floss properly. The warning signs for gum disease are the same in children as in adults. 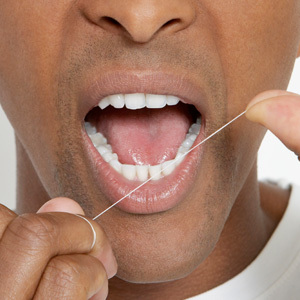 Periodontal disease may appear as red, swollen, bleeding gums or bad breath that won’t go away. If your child develops any of these symptoms, contact your dental professional right away. Since family health history and genetics may play a role in the development of periodontal disease, it is important to inform these matters to your dentist if any signs of periodontal disease develop. Most periodontists spend the majority of their time diagnosing and treating periodontal (gum) disease. Periodontists are also experts in placing dental implants, diagnosing and treating oral cancer, correcting gum recession or crown lengthening if too much gum covers the teeth. Along with your general dentist, periodontists are also expert dentists that can help you develop oral hygiene habits and oral care. Receding gums or gums that pull away from the teeth. If you notice any of these symptoms, be sure to contact your dentist or periodontist and schedule an exam to determine the cause of your symptoms. The costs of implants can often vary from periodontist, patient needs, materials used, etc. Dr. Saltz or Wilson is more than happy to discuss the financial obligations with your case. Can my general dentist treat my periodontal disease? Periodontal disease is caused by bacteria under the gums. Technically the disease is not contagious. However, the bacteria that cause periodontal disease can be spread through saliva. It’s a good idea to avoid contact with the saliva of individuals that are diagnosed with periodontal disease. There are several consequences to missing teeth. Affects the look of your face - sometime making skin sag; making you look older then you are. Difficulty in adding implants later as bone deteriorates without the supporting tooth.